In the recent survey of nurses, physicians, and healthcare administrators there are 96% of nurse assenters who said that they have observed and experienced disruptive behavior of a physician. Well, 96% is not a casual thing and we must recognize the disruptive behavior in healthcare so that it couldn’t affect the patient care. Other research shows that nurses are the one who has considered the primary victims of the disruptive physician behaviors. Due to which other health care are realizing that the disruptive behavior of the physician can threaten the patient care as well as cause staff dissatisfaction and turnover. Therefore, the hospital leaders are required to develop a code of conduct that can determine the disruptive behavior and can establish the process for controlling it. The medical staff and executives must control the disruptive physician behavior and negative activities. inappropriate responses to patient needs or staff requests etc. Therefore it is important for you to determine how to report unsafe working conditions and these negative activities of a physician. The intimidation and violence involve throwing objects, pushing or hitting someone, invading another’s space, finger pointing, and threatening violence. 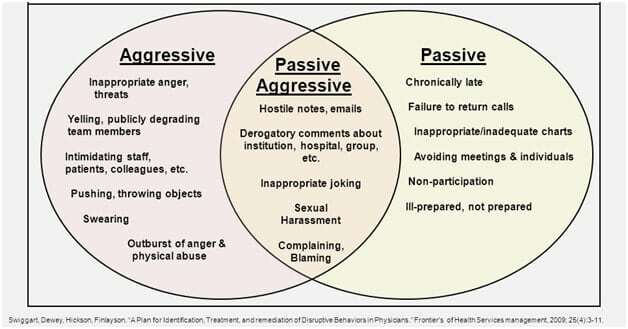 Yelling is the most common symptom of a disruptive physician behavior. Inappropriate language involves socioeconomic slurs sarcastic, cynical, or demeaning remarks and comments that show an arrogance for another staff members. Here’s a useful article that will help you in reporting the bad behavior of a physician.